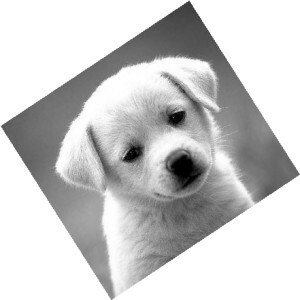 I want to do simple image manipulations in NodeJS. All modules out there, which claim to provide image processing capabilities, wrap an external program which is actually manipulating the image. Usually in the form of spawning a child process and running a contrived external command in it. All these modules require this external program to be already installed on the system. The module's users need to pre-install external binaries on their system. This makes the installation of the module more cumbersome and less portable. It also means other modules can't depend on this module without also making sure their users install this binary dependency. The module needs to spawn a child process for every image it manipulates. Probably more than once (at least once for every batch of operations). This is arguable. Maybe it's not that bad. But it feels inefficient (The OS needs to create a new process, etc.). You can't really manipulate images in-memory. Sure, some of the modules give you streams (which pipe to the external program's stdio, which again involves the OS); and from streams you can make buffers. But what if you want to manipulate an image, get a buffer, manipulate it some more, and get another buffer? You can't, because you don't really have the image in-memory. You have to call the external program with all the manipulations again, just to get the second buffer. You need to wait for the child process to give you the data, and then the process dies. You can't incrementally manipulate an image efficiently like this. You can't encode one image in different formats and different qualities from the same memory buffer. All those problems led me into rolling my own native NodeJS image processor. I wanted to avoid any binary dependencies; a quick npm install is all that should be needed to use the module. Obviously it means writing the image processing parts of the module as a native NodeJS addon in C++. It's a good opportunity to create a functionality which I felt is missing, and to learn some V8 and NodeJS internals on the way. It's quite interesting actually, and a separate post about writing native NodeJS module is on it's way. I'm still working on the module (called lwip, Light-Weight Image Processor), but all the basics are pretty much ready. The starting point is obtaining an image object, on which all the manipulations are made, and from which encoded image data can be obtained. Decode the image. Images, in the broad sense, are just a collection of pixels. JPEG, PNG, GIF, etc. are not images. They are codecs. A JPEG file contains encoded image data. In order to do manipulations on the image, the data first needs to be decoded. Different codecs use different image compression techniques. Luckily, for the most popular codecs there are open source libraries which provide decoding and encoding functionalities (see, for example, libjpeg and libpng). So the first stage is reading encoded image data and decoding it, in-memory, to raw, uncompressed, pixels data. Manipulate the pixels. Now that we have the pixels data, we can manipulate the image. There are many things we can do, some are mathematically complex, some are simple. For my module I decided to use the open source CImg library, which provides a very comprehensive set of functionalities to manipulate raw pixels date. Encode the manipulated image. Most users out there have nothing to do with raw pixels data. We need to encode it back to JPEG, or PNG or whichever format our users will be able to display. This is basically the reverse process of encoding. Now we take the raw pixel data and compress it. // Send buffer over the network, save to disk, etc. We can, for example, open a PNG image, resize it, obtain a JPEG buffer, convert it to a base64 string, send it to our user's browser; where we display it. All this done in-memory, without ever needing to keep copies of the image in different sizes and formats. Generated from Markdown source using Contrive.